How to go gluten-free. Should you choose a gluten-free diet? Many people these days are eating a gluten free diet because of health concerns. Gluten is a protein found in many grains, including wheat, rye, and barley as well as in many types of vinegar. A number of people have an allergy or intolerance to gluten in particular people with Celiac Sprue Disease. Celiac Disease seriously affects the digestive system of people who suffer from it. They find it increasingly difficult to absorb the vital nutrients from the foods they eat, and their condition worsens the more food they consume that contains gluten. Whether you have a serious condition like celiac or decide to go gluten-free to feel better it can be daunting, to think about giving up all those wheat-based cereals, crackers, cookies, and breads we so love. 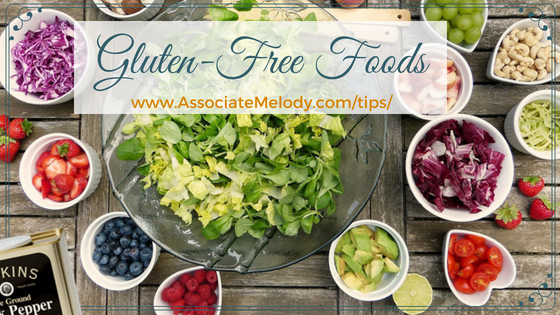 But gluten-free cooking can be very flavorful, and many foods are naturally gluten-free. Thanks to increased awareness and the popularity of gluten free diets there are entire aisles in many grocery stores dedicated to gluten-free foods. Here are some tips on going gluten-free without sacrificing flavor. There are also non-grain-based flours made from nuts, beans, potatoes, seeds (such as flax seeds), and even tapioca. Yes, you can bake gluten-free bread. Look for a comprehensive, gluten-free bread cookbook and experiment. 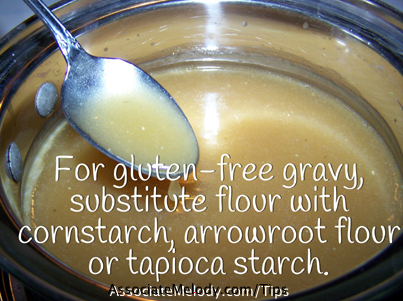 You can also bake flatbreads that are gluten free using almond flour, flax meal, and/or rice flour. Some gluten-free recipes contain a large number of eggs to make the bread pliable and puffy. 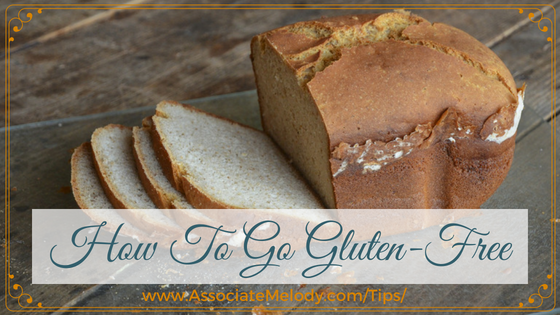 You may be able to make gluten-free adjustments to your favorite recipes. If you have a favorite pasta dish, you can buy gluten-free pasta made from rice or buckwheat flour. Many sauces and gravies are thickened with wheat flour, experiment with substitutions like cornstarch, arrowroot flour or tapioca starch in 1/2 the amount called for in your recipe. Some quick ideas for sweet treats that are gluten free include meringues cookies, homemade fudge, fruit and yogurt, and cakes, brownies and cookies made with alternative flours. There are gluten-free cake and brownie recipes that actually use pureed, cooked beans such as garbanzos or black beans. 1. Any foods that are battered or breaded should be avoided. You may not realize that pan-sauteed or grilled chicken or fish may have been coated with wheat flour. 2. Wheat and its variations can be listed in ingredient lists as kamut, cake flour, matzo flour, bran, graham flour, durum, semolina, and farina. Starch is often unidentified, binders, fillers, excipients, extenders, and malt are other ingredients to avoid. 4. Some grains that contain gluten that you may not think of are rye and barley. Which Watkins Products Are Gluten Free? 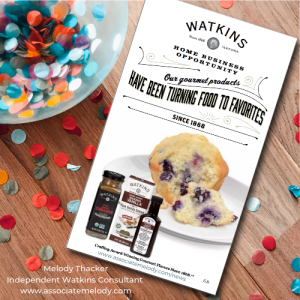 Watkins recognizes that for people who suffer from an intolerance to gluten in particular people with Celiac Disease, label reading becomes an integral part of their grocery shopping – so we’ve made it easier for you to shop for Watkins! Products that do not contain these grains or derivatives of these grains are naturally gluten-free. 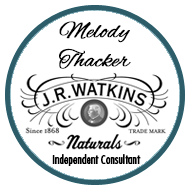 Most Watkins products, including natural personal care, natural home care, gourmet spices, extracts, black pepper, and grinders are free of these grains, therefore are naturally gluten-free. 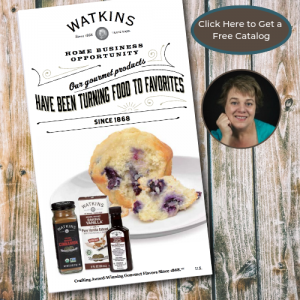 One of the questions I get asked often, “Is Watkins Vanilla extract gluten-free?” Yes! Are Watkins personal and body care products gluten free? Yes! Every effort is made to ensure this list is accurate and up to date. However, to be safe, you should check the ingredient list for each product in my Watkins shop, in particular, those with multiple ingredients. Did you find this page helpful? If so please feel free to add it to your browser favorites and share it with your friends. Is Watkins imitation butter flavoring gluten free? Hi Lisa, all our pure extracts and imitation flavors are gluten-free including butter. Thank you for asking.